Many small business owners have poor rankings on Google and most are puzzled about the best approach to improve their standing. SEO companies are plentiful and there is no shortage of unscrupulous sales people promising the first page of Google in ten days or less. Positive results on Google’s search engine come with patience and persistence, while utilizing Search Engine Optimization Best Practices. Here are 3 sure-fire ways to move up on Google Search. Responsive Design – Written with mobile phones and tablets in mind. Faster Performance – Very lightweight and efficient. HTML5 and Schema.org Markup – Your site will be built on code that Google likes. Blog Engine – Write compelling content that will attract more visitors to your site. If you are unsure about your website platform or need to know if your website is compliant with the latest standards, plug your website domain into the W3C Markup Validation Service. Be sure to clean up any errors or warnings that you may find and if there are too many, it might be time for a web re-design. Both Google and Bing use page loading speed as a ranking factor. There are several online tools for measuring how quickly your site loads and Google Page Speed Insights should be your first stop. Google PageSpeed Insights will rank both the mobile and desktop version of your website. Achieving 90 or above should be the goal. Another online resource for measuring your page speed is Pingdom. If it takes 15 seconds for your site to load, something is terribly wrong and the lackluster results could send potential customers away from your website. Google’s ranking algorithm also takes into account how much time people engage on your website. If your visitors bolt immediately, your site will certainly suffer in the rankings. Get a Faster Web Host. We recommend the GoGeek Plan with SiteGround for optimal performance. 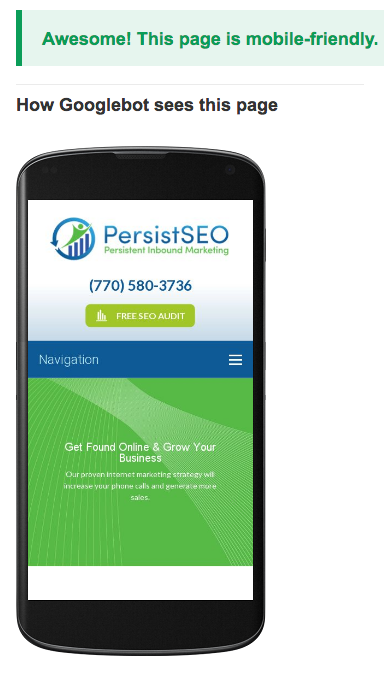 Google Mobile Friendly testing tool, you’ll know right away whether or not your small business website measures up. For small business owners, it can be overwhelming to keep the business operating efficiently while trying to keep up with all of the latest Google best practices. 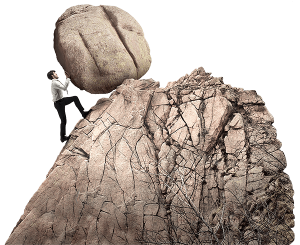 If you are struggling with low rankings on Google and a lack of leads online, contact the team at PersistSEO. We will provide a complimentary SEO Audit and let you know what your site needs in order to rank at the top. Our mission is to create high traffic, content rich websites that generate more leads by implementing persistent inbound marketing solutions for small businesses.